A photograph of a young woman. 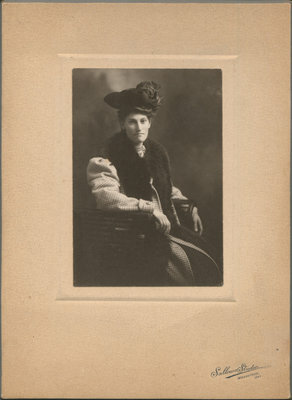 "Hannah" is written on the back of the photograph, possibly the name of the woman. Woodstock photography studio at Dundas and Graham was sold to Sallows of Goderich in 1906.